Congratulations to Thi (Tim) Tran, who has been selected as the LAIPLA’s 2017 Diversity Fellow. Thank you to Hyperloop One for hosting Tim and to Morrison & Foerster for sponsoring the fellowship. Finally, special thanks to the Diversity Fellowship Committee and our co-chairs Jennifer So and Chris Jackson. We are delighted that Tim is this year’s fellow. 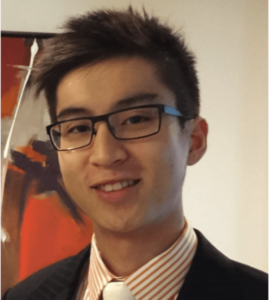 Tim is a Vietnamese-American law student currently studying at University of Southern California, Gould School of Law. He received a degree in Biomedical Engineering from the University of California, Irvine. Having grown up in the Vietnamese-rich community of Orange County, the start of his legal education made an impression, when the number of fellow Vietnamese students became fewer and scarcer. He hopes to take his experiences with him to help improve representation and understanding of fellow Vietnamese-Americans; however, diversity is a two-way street, and he is thankful for the opportunity that will undoubtedly give him the opportunity to expand his horizons. Tim is quite excited to be able to work at Hyperloop One, on one of the most cutting edges of transportation technology. He feels strongly about the influence intellectual property law in the realm of innovation and helps to further and strive his ability to contribute to intellectual property law in the future through this experience.